Gull Lake is a summertime refuge from the June Lake crowds. Come for the boating and fishing, and stay for the lake’s quiet tranquility. Gull Lake offers prime Trout fishing, either by boat or from shore. Explore the lake by pontoon boat, paddle boat, or canoe. Camp at the Gull Lake campground for quiet isolation and convenient lake access. Although Gull Lake is the smallest of the lakes on the June Lake Loop, it packs in just as much outdoor excitement, with abundant fishing, hiking, camping, as well as heart stopping alpine views. 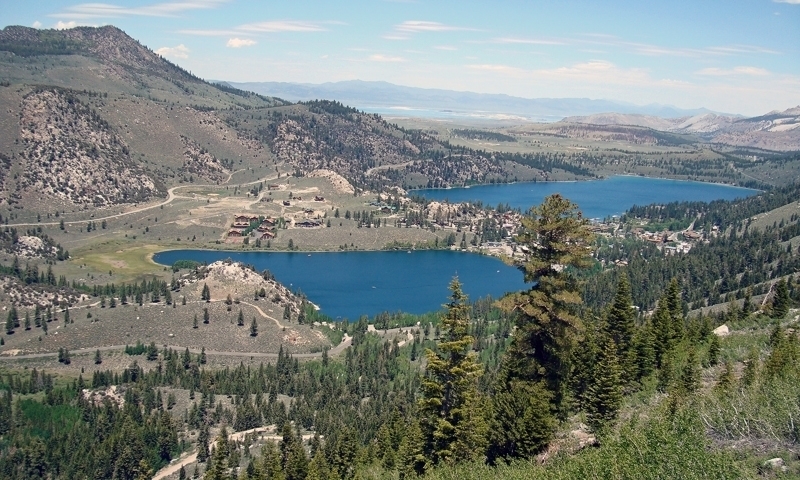 From Mammoth Lakes, head north on US-395 for 14 miles, then exit CA-158 N/June Lake Loop. Turn left and head south, then turn right on Gull Lake Road. Contact the Gull Lake Marina at (760) 648-7539 with questions. Gull Lakes offers ample opportunities for both boat and shore fishing. Angler’s come for a chance to land Brown, Rainbow, and Cutthroat Trout. For bait fishermen, the experts recommend inflated night crawlers, yellow powerbait, salmon peach, and chunky cheese powerbaits. For trollers, aim for the 25' - 30’ range, and use bait with blue, gold, or pink for the greatest chance at success. Both anglers and boating enthusiasts will enjoy their time on Gull Lake’s pristine alpine waters. The Lake Marina offers rentals ranging from a 24’ fishing pontoons, to a 16’ flat bottom barges, as well as paddle boats and canoes. For a quiet, scenic walk, consider the Gull Lake Trail which encircles Gull Lake, and provides pedestrians an alternate route to June Lake Village. Perfect for those seeking peace and quiet, Gull Lake's campground is quiet and isolated, with only 11 maintained sites on the grounds. The sites offer convenient access to hiking trails as well as Gull Lake fishing. First come, first served. Call Inyo National Forest (760) 873-2400 with questions.